Commercial LED lighting can increase health in your place of business. 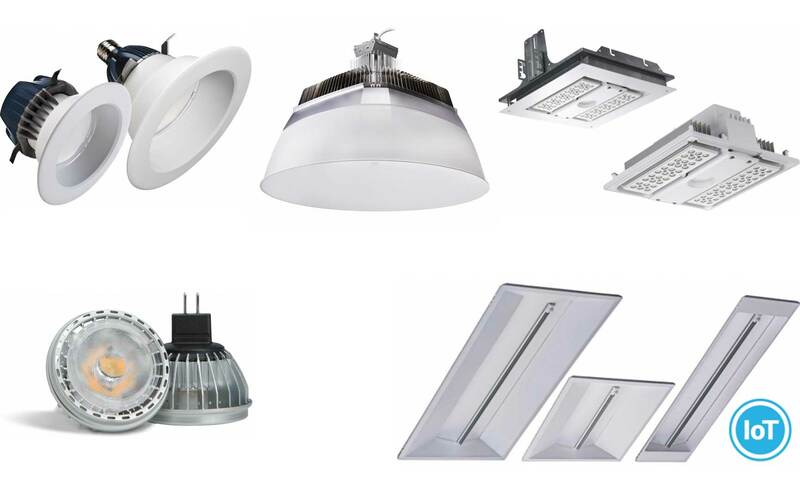 Commercial LED Lighting Solutions deliver improved performance and lower operating costs. Solarponics commercial LED lighting solutions will enhance your image and improve workplace health. In addition, Solarponics LED lighting solutions have a payback of five years or less. Because LEDs emit light at precise wavelengths — that is, where a specific spectral composition of light is important — LED lighting is becoming increasingly popular for commercial retail spaces, where "the experience" is paramount. We are just at the threshold of understanding how light levels and colors affect people — the intricacies of the interaction between lighting and our circadian rhythms. LED luminaries offer more control than other lighting technologies. There are dozens of commercial LED fixture options available, from practical design to elegant fixtures. Cree® LED lighting, for example, is designed to blend seamlessly with any architecture. The proprietary diffusing lens and reflector system delivers optimal light distribution that softly washes walls and amply illuminates work surfaces. The only thing you'll experience is life under beautiful, radiant light. LONGER LIFE - An LED luminaire has a life expectancy of up to 100,000 hours, six times longer than traditional T8 lamps, ten times longer than T12 lamps. LESS MAINTENANCE - LED fixture maintenance costs are reduced through outstanding durability and longevity. REDUCE YOUR COOLING COSTS - Most lighting sources generate heat, increasing the energy needed for cooling. LEDs give off very little heat, reducing your cooling costs by as much as 40%. DIRECTIONAL - LED luminaries emit light at a 110° pattern VS. the 360° pattern given off by fluorescent fixtures. 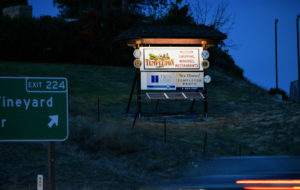 Only about 30% of the light of a T8 fixtures hits its intended target. SHATTERPROOF - LED luminaries are shatterproof. Federal and state regulations require shatterproof lighting be maintained in food processing buildings, elevators, daycare centers and more. Good for all indoor and outdoor applications. LIGHT QUALITY - A Color Rendering Index (CRI) of 100 is the highest quality of light (true sunlight).LED luminaries have a CRI of close to 90. Fluorescent lamps have a CRI of around 62. COMMUNICATIONS CAPABILITY - We can upgrade your system to work with controls. An LED luminaire control network offers increased energy savings by adapting the lighting system to changing conditions and allowing remote monitoring of electric consumption. 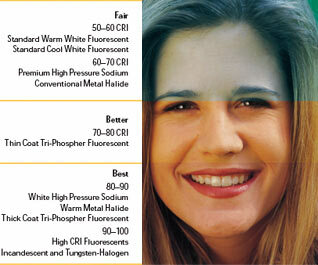 LESS UV RADIATION- LED lunimaires do not emit any light in the non-visible light spectrum (UV). UV/IR light causes color fade in fabrics, signage, and is a leading cause of eye strain and fatigue. NO MERCURY - LED luminaires do not contain Mercury. Fluorescent bulb s contains 3-5 mg of Mercury each. Over 15 million fluorescent bulbs end up in California landfills each year.